Welcome to MOLLY MAID of Plano, Rockwell and Rowlett. Molly Maid has been serving the North Dallas area for over 20 years. During our years of service, we have provided our valued customers with high-quality cleaning solutions. Our Richardson home cleaning services are designed to give your home a custom, detailed clean. From your children’s rooms to the kitchen sink, our maids are happy to clean even the toughest areas of your home. We also specialize in move-in and move-out cleanings and apartment cleaning. You can trust our house cleaning service specialists to meet your cleaning needs and exceed your expectations – every time. We're proud to serve the Plano, Rockwall, and Rowlett neighborhoods and suburbs. We also provide exceptional service to Murphy, Sache, Wylie, and all of the surrounding areas. 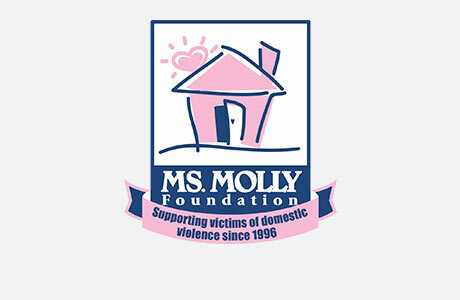 MOLLY MAID of Plano, Rockwell and Rowlett is also a proud contributor to Emily's Place, an organization that offers support for battered women. Call MOLLY MAID of Plano, Rockwell and Rowlett today at (972) 885-3840 to schedule your free in-home estimate! Still have some questions about hiring a professional cleaning company for your Plano home? Here are some of the most frequently asked questions regarding our maid services. In order to give every customer accurate pricing based on their home, we will perform a free, in-home inspection before providing a free, honest estimate. This allows our customers to tailor their services to meet their budgets. Please call our office today to schedule yours! We are flexible. What does a clean entail? In all rooms, we can cover the baseboards, light fixtures, furniture, window sills, blinds, and glass surfaces. In addition, we can dust décor, remove cobwebs, empty wastebaskets, and vacuum cloth furniture. In the bathrooms, we can clean showers, tubs, and sinks (inside and out), scrub toilets (including bowl, seat, lid, tank, and base). Our team can clean, dry, and shine all mirrors, glass, chrome, and tile. We can damp-wipe cabinet fronts as well as clean all shelves, fixtures, and items on vanities. We can also vacuum and mop nearly all types of flooring. In the kitchen, we clean, dry, and shine all appliance surfaces, range hoods, and sinks. We clean stove drip pans, burner grates, and control knobs in addition to washing countertops and damp-wiping cupboard fronts, table, and chairs. We can clean both the inside and outside of the microwave too. We will even make your beds if you strip them and leave out clean linens. Our team will try to accommodate other requests on a case-by-case basis.